U.S. first lady Michelle Obama is in Cambodia's famed Ankor Wat temple where she spoke Saturday at a Peace Corps training event and also met with a group of girls at a school on the outskirts of Siem Reap. The visit is part of a two-nation trip meant to highlight a new global women's education initiative. 1 US First Lady Michelle Obama arrived with Cambodian first lady Bun Rany at Hun Sen Prasat Bakong Hight School, around 40 Kilometer outside of Siem Reap town, Saturday, March 21, 2015, to promote her “Let Girls Learn” initiative. 2 US First Lady Michelle Obama arrived with Cambodian first lady Bun Rany at Hun Sen Prasat Bakong Hight School, around 40 Kilometer outside of Siem Reap town, Saturday, March 21, 2015, to promote her “Let Girls Learn” initiative. 3 US First Lady Michelle Obama arrived with Cambodian first lady Bun Rany at Hun Sen Prasat Bakong Hight School, around 40 Kilometer outside of Siem Reap town, Saturday, March 21, 2015, to promote her “Let Girls Learn” initiative. 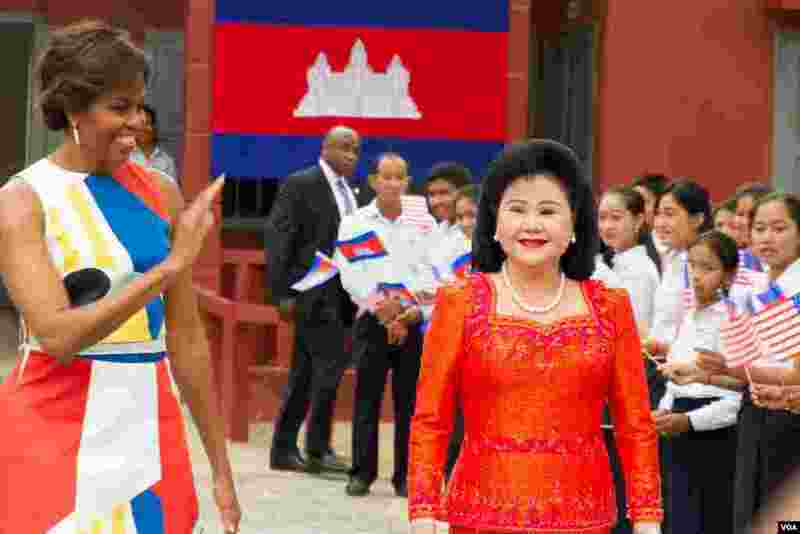 4 US First Lady Michelle Obama arrived with Cambodian first lady Bun Rany at Hun Sen Prasat Bakong Hight School, around 40 Kilometer outside of Siem Reap town, Saturday, March 21, 2015, to promote her “Let Girls Learn” initiative. 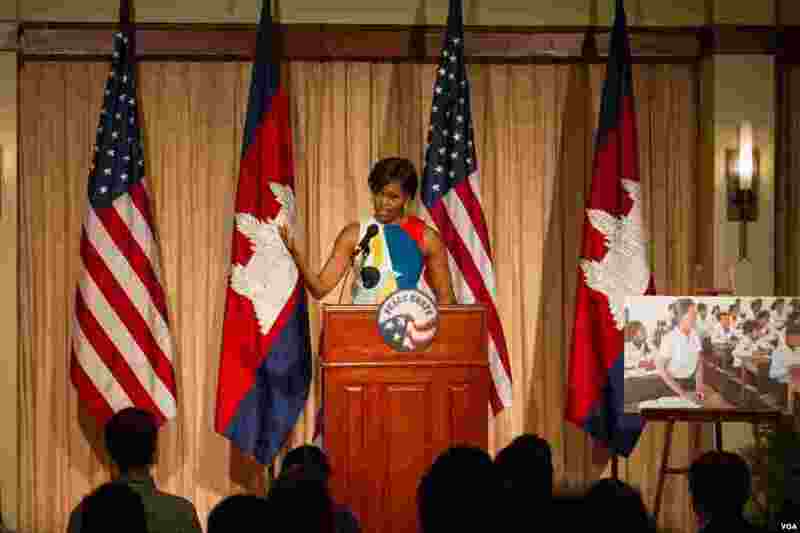 5 Michelle Obama gave her speech at Peace Porps vulunteer training for Let Girls Learn at a hotel in Siem Reap city on Saturday. 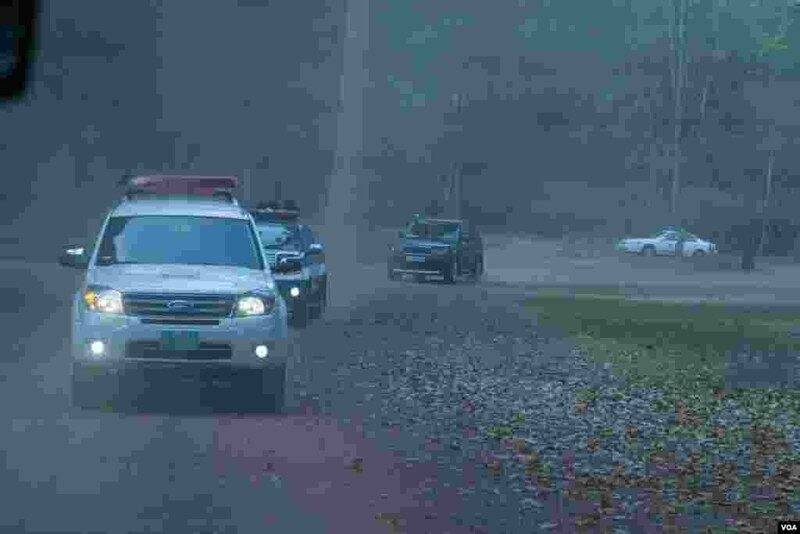 6 Security trucks follow Mrs. Obama visiting convoy on Saturday during her first visit to Angkor Wat temple. 7 Michelle Obama walked with her tour guide in Angkor Wat compound. 8 Michelle Obama walked with her tour guide in Angkor Wat compound on Saturday afternoon.